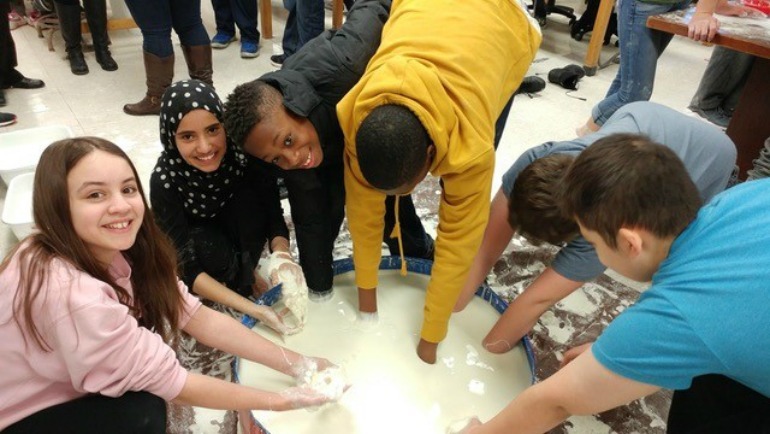 Building on the momentum of the previous two events, Wayne State’s third annual STEM Day is expected to draw 2,400 sixth- through ninth-grade students to participate in more than 80 interactive sessions throughout campus on Tuesday, March 12. The event, which will be held from 10 a.m. to 1 p.m., combines learning and experimentation in all areas of science, technology, engineering and math. Students from more than 25 schools in Wayne, Oakland and Macomb counties will learn how these fields can create pathways toward careers in those key areas. In addition to the sessions, attendees will experience Wayne State through campus tours and a complimentary lunch. STEM Day is free and open to teachers and their classes, as well as individual and home-schooled students. Limited space is still available for individual students from area middle schools or who are homeschooled for WSU’s third-annual STEM Day on March 12. Learn more information and let us know you are interested in attending our free event by visiting stemday.wayne.edu. The deadline to register is Wednesday, March 6. You can also volunteer at stemday.wayne.edu. For a full description of all STEM sessions and activities, and other important event information, go to stemday.wayne.edu/sessions.